All New. All Improved. Making Definitive Cementation Easier! 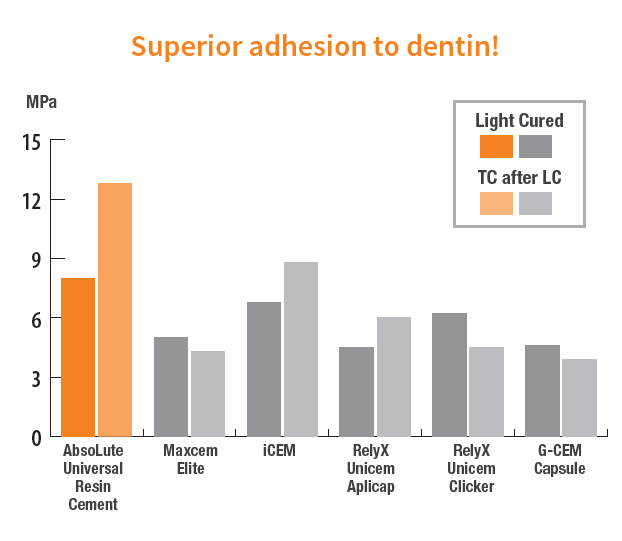 AbsoLute’s bond to dentin is high; creating adhesion to the tooth that is predictable and simple. Self-etch. Self-adhesive. AbsoLute has a bond strength to ceramic restorations that is significantly higher than many popular brands available today. Higher strength results in restorations that adhere in even the most challenging clinical situations. 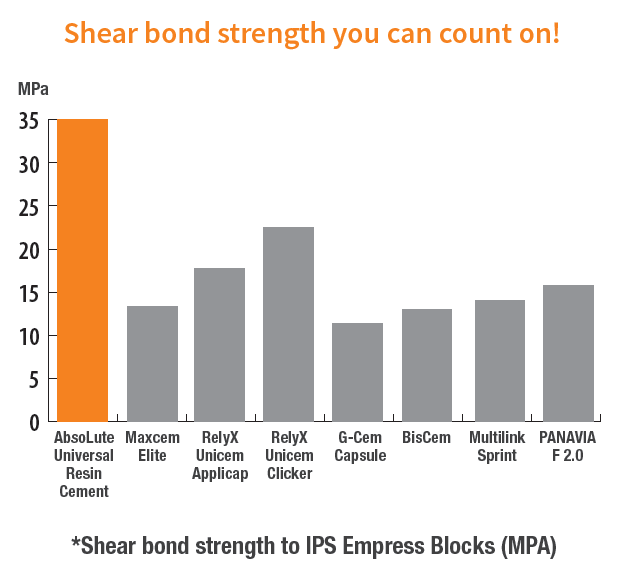 AbsoLute high flexural strength means that restorations will withstand high stress, chewing and bruxing forces, regardless of oral acid environment. Dual-cure means complete cure for every patient, every time. AbsoLute is the easiest resin cement to use for everyday clinical demands – and the easiest to clean up. Use the ceramic material you prefer. AbsoLute was designed especially for feldspathic, high leucite, lithium disilicate, alumina and zirconia materials. Self-etch, self-adhesive for faster, easier placement. No primer or conditioner needed. Three shades to provide a natural looking restoration regardless of the underlying coloration of the tooth. Easy cleanup. 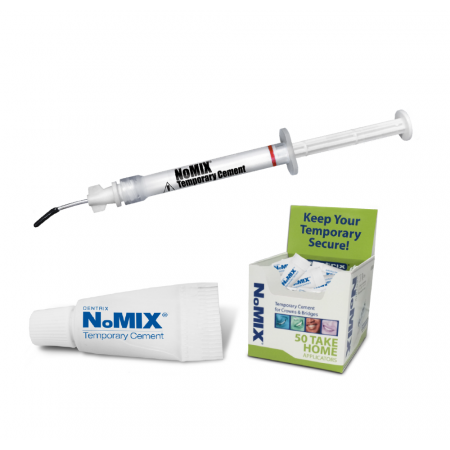 A simple light tack of AbsoLute makes clean up faster and easier, even from the sulcus or in tight interproximal areas. 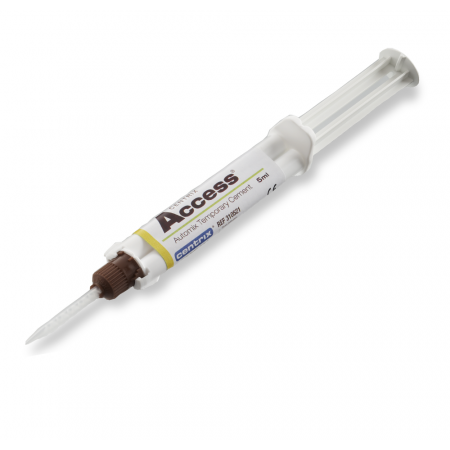 AbsoLute IntraOral tips enable cement placement to the bottom of the post space. "I am new to AbsoLute but it now is my cement of choice. 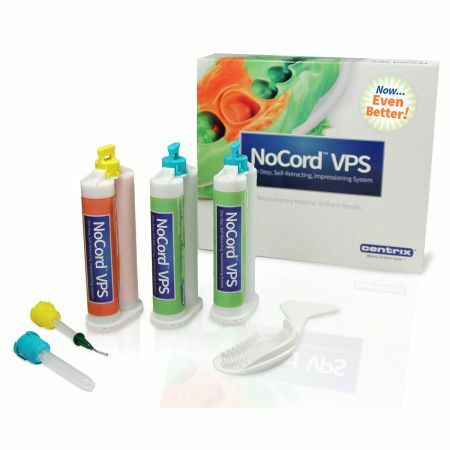 When cementing Zirconia or Emax crowns it’s easy to use and the cement comes off easily; and I have had no patient discomfort"
"I use AbsoLute Cement exclusively to deliver all my crown and bridge restorations. It is easy to use, easy to clean up and comes in many shades. Patients have not complained of any sensitivity and the retention of the restorations has been great." 210007 AbsoLute Mixing Tips, Tapered - Brown - (Orange spiral), 50 pk. 210008	AbsoLute Mixing Tips, Blunt - Brown - (Orange spiral), 50 pk. 210009	AbsoLute IntraOral Tips - (Snaps onto 210008 Blunt tips), 50 pk. Do you need to etch, prime, or bond when using AbsoLute™? No, AbsoLute™ is a self-etching, self-adhesive dual-cured resin luting cement. AbsoLute™ requires no etching, no priming or no bonding of the prepared surfaces, thus saving you time by reducing clinical steps in your procedure. How many shades are available with AbsoLute™? Can AbsoLute™ be used with a variety of dental substrates? Yes, AbsoLute™ is designed to bond to a multitude of dental dental ceramics (feldspathic, high leucite, lithium disilicate, alumina and zirconia) as well as composites and metals (including amalgam). How much cement material in the AbsoLute™ dual-syringe? AbsoLute™ contains 5 grams of auto-mixed cement in the dual-syringe. What are the indications for use with AbsoLute™? AbsoLute™ is formulated for luting crowns, bridges, inlays, onlays, and posts (prefabricated metal and non-metal/fiber posts, as well as cast posts). No. The amount of fluoride released by resin products is so minimal that its' effect is clinically inconsequential. 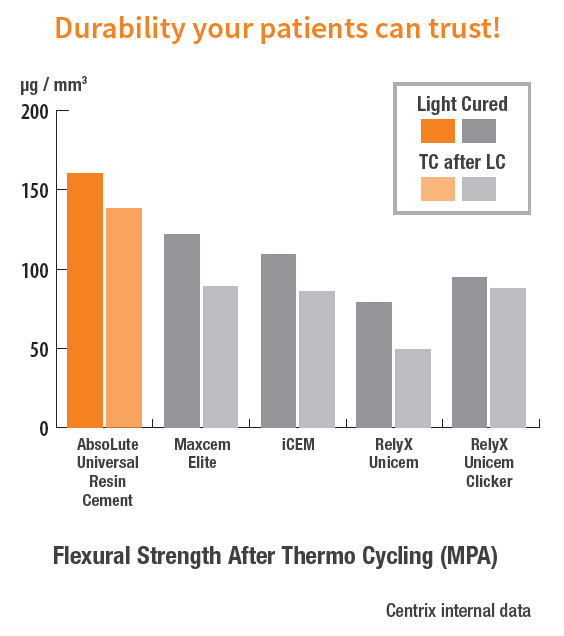 We chose to re-formulate AbsoLute to gain significant improvements in strength, durability, stability and to further reduce the risk of post-op sensitivity – as well as to make it easier to use. For this we chose to forego the ‘marketing’ (not clinical) benefit of fluoride release. Remove the temporary restoration and all temporary cement residue. Try in the final restoration to insure proper fit. Clean the preparation with pumice and water. Rinse thoroughly. Remove all surface water using a strong stream of air on the preparation for 3 to 5 seconds. Do not desiccate. Remove the syringe cap from the dual-syringe. 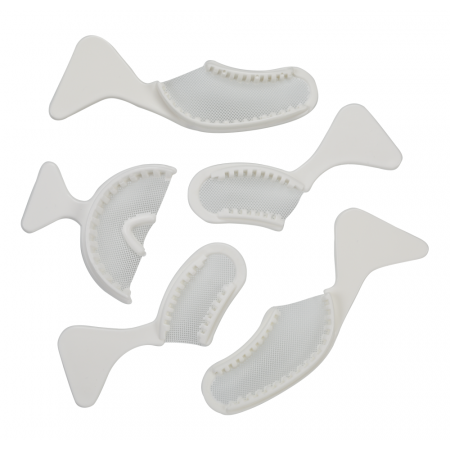 Dispense a small amount of material onto a mixing pad to eliminate any voids in each chamber of the dual-syringe. Attach a mixing tip to the dual-syringe by lining up the key and keyway. Then turn the brown locking mechanism clockwise. Pressing the plunger will mix and dispense the AbsoLute™. Apply cement to the internal surfaces of the restoration. For inlays, it may be easier to apply the cement to the tooth preparation. Seat the restoration and remove any excess cement. Light cure for 20-30 seconds, or allow to self cure. Prepare the post space per post manufacturer’s instructions. Etching and bonding agents are not required. Size and fit post to insure proper fit. Clean post per manufacturer’s instructions. Apply cement to the canal walls using an endodontic file, lentulo spiral or paper point, and coat the post. Seat the post and remove any excess cement. Proceed with core build-up procedure.